Sweet dreams are made of sparkling style and snuggly comfort with the SKECHERS BOBS Keepsakes High - Dream Ninja shoe. 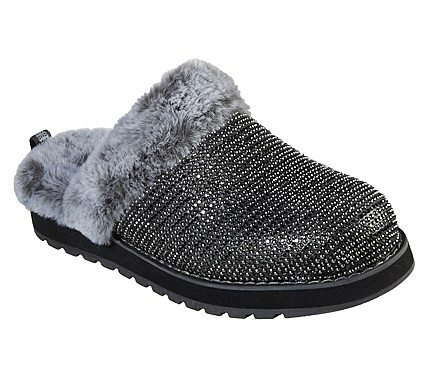 Soft fabric upper in a slip on casual comfort clog slipper with glittering rhinestone detail, faux fur lining and Memory Foam footbed. Subtle wedge heel.